Robert J. Marshak is a Senior Associate with Strategic Concepts International and Senior Scholar in Residence at the School of Public Affairs, American University, Washington, DC. Previously he led a global consulting practice for more than 25 years after almost 10 years in senior executive management and policy analysis positions in the US Government. His last government position was Acting Director for Science and Education Policy Analysis and Coordination, U.S. Department of Agriculture. Bob is a professional member of NTL Institute for Applied Behavioral Science, and a member of the US Academy of Management, European Group for Organizational Studies, Organization Development Network, and Organization Development Institute. Among his many honors and awards, Bob received the Organization Development Network's Lifetime Achievement Award in recognition of his outstanding contributions to the field of organization development as a consultant, educator, and author. Bob earned his Ph.D. from the School of Government and Public Administration, American University, Washington, DC and his undergraduate degree from Duke University. He is the author of Covert Processes at Work: Managing the Five Hidden Dimensions of Organizational Change (2006, Berrett-Koehler Publishers) as well as a number of articles that have been recognized as classics in their field, including: "Managing the Metaphors of Change" (1993, Organizational Dynamics), "Lewin Meets Confucius: A Re-view of the OD Model of Change" (1993, Journal of Applied Behavioral Science), and "The Tao of Change" (1994, OD Practitioner). Bob served as the Acting Editor of the Journal of Applied Behavioral Science and is currently on its editorial board. He is routinely asked by leading management journals to review articles in his areas of expertise. He has published over 50 articles in leading academic and practitioner journals including Journal of Applied Behavioral Science, Human Relations, Organizational Dynamics, Action Research, Strategic Change, Organization Development Journal and Organization Development Practitioner. His research on discourse and organization development was recognized by the US Academy of Management with a Best Paper Award in 2004. Bob currently is a Trustee of the Organization Development Network and a past Vice-Chair of the Board of NTL Institute. Bob was born and lives in the United States. During military service as a special agent in military intelligence he was trained and certified by the Defense Language Institute in the Korean language before living in South Korea for a year. His consulting practice has included organizational consulting and executive development assignments in Brazil, Canada, Korea, China, Hong Kong, Singapore, Malaysia, India, Germany, The Netherlands, and the United Kingdom. During his government career he received Agency Citations for his work on facilitating the development of the first strategic plan for research in USDA history and as a member of the core team that merged four agencies into the Science and Education Administration. 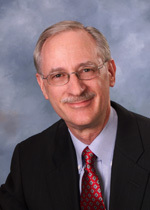 Over the years, Bob has also worked with thousands of participants in OD and change leadership programs at NTL Institute, Duke University Corporate Education, American University, Johns Hopkins University, Georgetown University, University of Texas at Dallas, Korea University, and the Singapore Training and Development Association. For NTL Institute he designed and served as Dean for residential workshops in conflict management, organizational change, and dealing with covert processes. He has also served as Dean for NTL Certificate programs in Organization Development and Change Management conducted in Korea, Singapore and India. Bob is widely recognized for his pioneering work on covert processes in organizational change, East Asian change philosophy, the use of metaphors and symbolic meaning in organizational change, and as a thought leader in the field of organization development. Among the organizations Bob has worked with as a consultant, executive coach, or educator are: AOL-Europe, BASF South East Asia, BAE Systems, Duke University, Exxon, Freddie Mac, GlaxoSmithKline, The Inter-American Development Bank, HSBC, JPMorganChase, Kodak, Lucent Technologies, National Science Foundation Board, PSI Consulting-Korea, Marriott, Nortel, Shell, Singapore Training and Development Association, UNICEF, Unisys, The World Bank, and a wide range of U. S. government agencies and offices. Marshak, R. J. (2005) "Commentary on Kurt Lewin's Heritage," Gestalt Review, Vol. 9, No. 2, pp. 281-285. Marshak, R. J. (2005) "Introduction: Transforming Thoughts about Change," Journal of Applied Behavioral Science, Vol. 41, No. 2, pp. 157-160. Marshak, R. J. (2005) "Milestones and Markers," Journal of Applied Behavioral Science, Vol. 41, No. 1, pp. 5-6. Marshak, R. J. & Heracleous, L. (2005) "A Discursive Approach to Organization Development," Action Research, Vol. 3, No. 1, pp. 69-88. Marshak, R. J. (2004) "Morphing: The Leading Edge of Organizational Change in the 21st Century," Organization Development Journal, Vol. 22, No. 3, pp. 8-21. Heracleous, L. & Marshak, R. J. (2004) "Conceptualizing Organizational Discourse as Situated Symbolic Action," Human Relations, Vol. 57, No. 10, pp.1285-1312. Alderfer, C. P., & Marshak, R. J. (2004) "Editors' Comments about Research and Publication Ethics," Journal of Applied Behavioral Science, Vol. 40, No. 3, pp. 257-259. Heracleous, L. & Marshak, R. J. (2004) "Organizational Discourse as Situated Symbolic Action: Application through an OD Intervention," Academy of Management Proceedings. Best Action Research Paper Award, Organization Development and Change Division, Academy of Management Conference, August 6-11, 2004, New Orleans, Louisiana. Marshak, R. J. (2003) "Metaphor and Analogical Reasoning in Organization Theory: Further Extensions," Academy of Management Review, Vol. 28, No. 1, pp. 9-10. Marshak, R. J. (2002) "Changing the Language of Change: How New Contexts and Concepts are Challenging the Ways We Think and Talk about Organizational Change," Strategic Change, Vol. 11, No. 5, pp. 279-286. Marshak, R. J. (2000) "Managing the Metaphors of Change," reprinted as a classic in Reflections: The SoL Journal, Vol. 2, No. 3, pp. 6-15. Keenoy, T., Marshak, R. J., Oswick, C., & Grant, D. (Eds. )(2000) "Discourses of Organizing, Special Issue," The Journal of Applied Behavioral Science, Vol. 36, No. 2. Marshak, R. J., Keenoy, T., Oswick, C., & Grant, D. (2000) "From Outer Words to Inner Worlds," The Journal of Applied Behavioral Science, Vol. 36, No. 2, pp. 245-258. Keenoy, T., Marshak, R. J., Oswick, C., & Grant, D. (2000) "The Discourses of Organizing," The Journal of Applied Behavioral Science, Vol. 36, No. 2, pp. 133-135. Oswick, C., Keenoy, T., Grant, D. & Marshak, R. J. (2000) "Discourse, Organization and Epistemology," Organization, Vol. 7, No. 3, pp. 511-512. Katz, J. H. & Marshak, R. J. (1995) "Re-inventing Organization Development Theory and Practice," Organization Development Journal, Vol. 13, No.1, pp. 63-81. Marshak, R. J. (1993) "Lewin Meets Confucius: A Re-View of the OD Model of Change," The Journal of Applied Behavioral Science, Vol. 29, No.4, pp. 393-415. Marshak, R. J. (1993) "Managing the Metaphors of Change," Organizational Dynamics, Vol. 22, No.1, pp. 44-56. Marshak, R. J. (2006) "Emerging Directions: Is There a New OD?" In J. V. Gallos (Ed.) Organization Development: A Jossey-Bass Reader. San Francisco: Jossey-Bass Publishers, pp. 833-841. Marshak, R. J. (2006) "Organization Development as a Profession and a Field," in B. B. Jones, & M. Brazzel (Eds.) The NTL Handbook of Organization Development and Change. San Francisco: Jossey-Bass/Pfeiffer, pp.13-27. Marshak, R. J. (2005) "Contemporary Challenges to the Philosophy and Practice of Organization Development," in D. L. Bradford, & W. W. Burke (Eds. ), Reinventing Organization Development. San Francisco: Jossey-Bass/Pfeiffer, pp. 19-42. Marshak, R. J. (2004) "Organization Development and Post-Confucian Societies," in P. F. Sorenson, T. C. Head, T. Yaeger, and D. Cooperrider (Eds. ), Global and International Organization Development, 4th Edition, Champaign, IL: Stipes Publishing Co., pp. 295-311. Marshak, R. J. & Katz, J. H. (1999) "Covert Processes: A Look at the Hidden Dimensions of Group Dynamics." In A. Cooke, et.al. (Eds.) Human Relations Reading Book, 8th Edition, Alexandria, VA: NTL Institute, pp. 251-258. Marshak, R. J. (1998) "A Discourse on Discourse: Redeeming the Meaning of Talk." In D. Grant, T. Keenoy and C. Oswick (Eds. ), Discourse and Organization, London: Sage, pp. 15-30. Marshak, R. J. (1996) "Metaphors, Metaphoric Fields and Organizational Change." In D.Grant and C. Oswick (Eds. ), Metaphor and Organizations, London: Sage, pp. 147-165. Marshak, R. J. (1995) "Managing in Chaotic Times." In R. A. Ritvo, A. H. Litwin, and L. Butler (Eds. ), Managing in the Age of Change, Burr Ridge, IL: Irwin Professional Publishing, pp. 58-66. Marshak, R. J. (2005, Spring) "Is There a New OD?" Seasonings: A Journal by Senior OD Practitioners, Vol. 1, No. 1. Marshak, R. J. (2004) "Generative Conversations: How to Use Deep Listening and Transforming Talk in Coaching and Consulting," OD Practitioner, Vol. 36, No. 3, pp. 25-29. Marshak, R. J. (2001) "Claiming Your Power and Leadership as an OD Consultant," OD Practitioner, Vol. 33, No. 4, pp. 35-40. Marshak, R. J. & Katz, J. H. (2001) "Keys to Unlocking Covert Processes: How to Recognize and Address the Hidden Dimensions of Individuals, Groups and Organizations," OD Practitioner, Vol. 33, No. 2, pp. 3-10. Marshak, R. J. & Katz, J. H. (1997) "Diagnosing Covert Processes in Groups and Organizations," OD Practitioner, Vol. 29, No. 1, pp. 33-42. Marshak, R. J. (1994) "The Tao of Change," OD Practitioner, Vol. 26, No. 2, pp. 18-26. Marshak, R. J. (1993) "Training and Consulting in Korea," OD Practitioner, Vol. 25, No. 2, pp. 16-21. Stone, D. & Marshak, R. J. (1993) "The Initial Interview: Assessing Client Needs," The 1993 Annual: Developing Human Resources. La Jolla, CA: Pfeiffer, pp. 221-230. Marshak, R. J. (1992) "Politics, Public Organizations, and OD," OD Practitioner, Vol. 24, No. 4, pp. 5-8. Marshak, R. J. & Katz, J. H. (1992) "The Symbolic Side of OD," OD Practitioner, Vol. 24, No. 2, pp. 1-5. Marshak, R. J. & Katz, J. H. (1991) "Covert Processes at Work," CBODN Newsletter, Vol. 6, No.2, pp. 1-5. Marshak, R. J. & Katz, J. H. (1991) "Keys to Unlocking Covert Processes." In M. McDonald (Ed.) Building Ourselves...Our Work... Our Organizations...Our World: Proceedings of the 1991 National OD Network Conference, Long Beach, CA, pp. 65-71. Marshak, R. J. & Katz, J. H. (1990) "Covert Processes and Revolutionary Change." In M. McDonald (Ed.) Forging Revolutionary Partnerships: 1990 National OD Network Conference, Philadelphia, PA, pp. 58-65. Marshak, R. J. (1987) "OD Values, Ethics, and Practices, Part II," CBODN Newsletter, Vol. 2, No. 3, pp. 2-3. Marshak, R. J. (1987) "OD Values, Ethics, and Practices," CBODN Newsletter, Vol. 2, No. 2, pp. 3-5. Marshak, R. J. (1983) "What's Between Pedagogy and Andragogy?" Training and Development Journal, Vol. 37, No. 10, pp. 80-87. Marshak, R. J. (1983) "Cognitive and Experiential Approaches to Conceptual Learning," Training and Development Journal, Vol. 37, No. 5, pp.72-79. Marshak, R. J. (1982) "Magicians and Shamans of OD," OD Practitioner, Vol. 14, No. 3, pp. 8-9.